Does your brand set you apart from the crowd? There aren’t many photographers who are also branding consultants or art directors at a successful design firm. Since Steve Coleman is all three things, we thought he’d be the perfect person to help photographers understand and strategize their branding efforts. His first post explained exactly what a brand is (and isn’t). This one will help you define your brand attributes. 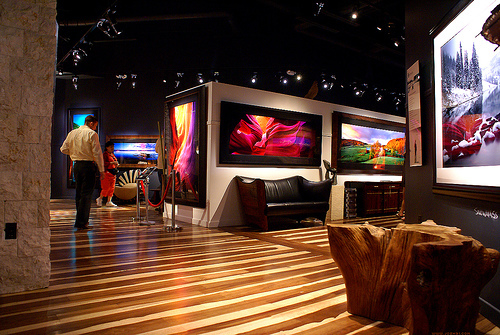 One of Peter Lik's "destination" galleries showcasing his landscape photography. As I explained in my first post, a brand is not a logo or a website or a design. A brand is a promise, what people trust, feel, and believe you or your product to be. Branding is how you express that promise to people. Here’s some tips to help you define your brand — only then can you express it through branding. First, your brand will ultimately be defined by other people, mostly your customers and potential customers. They will make up their minds about you and you will usually have to live with it. Your job in building your brand is to try and influence them before their minds are made up. It is easier when they don’t yet know you and harder when they do. Therefore, your brand can not be just anything you want it to be. It needs to be based on some truth about you, as well as client needs. Otherwise your brand will be rejected as not credible. Your brand also needs to be flexible so that it can evolve as you or the market change over time. For example, while Polaroid’s brand was successfully built around innovation in instant imaging, its brand become too closely associated with chemical imaging in the minds of consumers and has struggled to stay connected with people in a digital world. Second, be clear about what you need your brand to achieve at a strategic level. For most people this will be to set you apart from your competitors, to make you top of mind and memorable. By default, a brand should also say who you are not. A strong, healthy brand never tries to be all things to all people. Strategically your brand offers a way for clients and potential clients to quickly and easily categorize you. When they need what you’ve got, you want them to know exactly who to call. Ideally your brand should also make you look like the original or the best solution, making it hard for others to copy you. 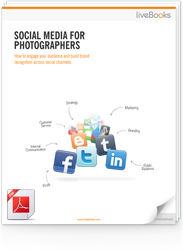 Here are some great examples of photographers who have done this successfully. Another example is Australian landscape photographer Peter Lik. In a market saturated with great landscape photography, much of which never sells, Peter’s business generates more than $30,000,000 per year (US!!). Peter’s photography, while brilliant, is hardly the sole reason for his success. The essence of Peter Lik’s brand is the creation of a photographic experience. In particular, his galleries are must-see destinations. What you buy is not just a beautiful picture but a small part of everything that you experience in Peter’s world. The critical third stage in defining your brand is determining what the attributes are that make up your brand. Attributes are like brand DNA. These are the tangible and intangible, emotional and functional characteristics that you and your business, product, or service are — or could credibly become. If expressed and managed correctly, these attributes become the reasons for people to trust and do business with you. Here’s an example. 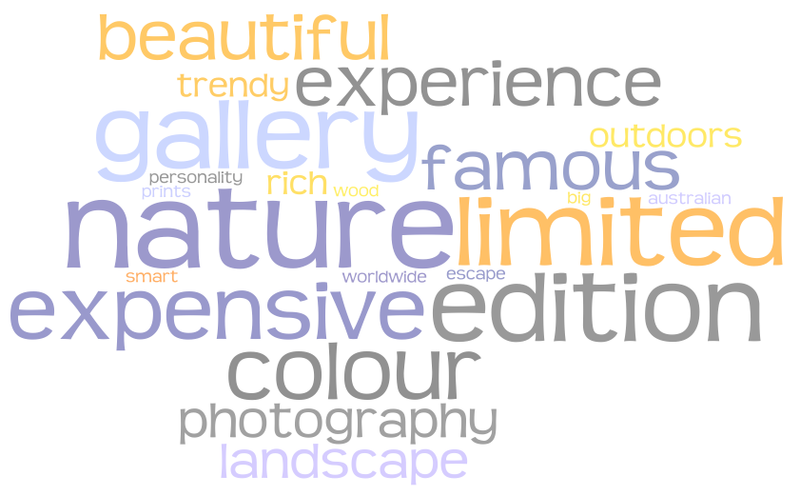 I asked 10 people who know of Peter Lik to give me 20 words that describe what they believe him to be. I put every word, including those repeated, into Wordle, which creates a prioritized word cloud showing most-used bigger and least-used smaller. This this is a visual representation of Peter Lik’s brand attributes, according to these 10 people. You’ll notice that the functional description of him as a “landscape photographer” is rated low. From a brand perspective, this is excellent because being a landscape photographer is just the cost of entry, it is not enough to define him as unique. Peter has purposefully built his brand around the attributes that help set him apart. That is how a strong brand works. Do you have a brand – or do you just have a logo? There aren’t many photographers who are also branding consultants or art directors at a successful design firm. Since Steve Coleman is all three things, we thought he’d be the perfect person to help photographers understand and strategize their branding efforts. First question: What exactly is a brand anyway? With the rapid change happening in the photography industry, we photographers are becoming part of a much larger, more competitive, more sophisticated global economy. Potential clients now have access to innumerable choices, and any photographer is now just one option in an overwhelming smorgasbord of photographic options. To compete in this economy, photographers need to have a new skill set that includes the ability to define, express, and manage their brand. Why does everyone want this camera? The Hasselblad brand makes a promise - and keeps it. A well defined brand strategy can improve your profits, your reputation, and the likelihood you’ll be considered for future jobs. It may even effect whether your business succeeds or fails. But I’m not here to convince you that you need a brand strategy, nor to tell you what it should be (I’ll discuss those another day). Rather, I want to take a step back and help you understand what a brand is. Unless you understand that, it will be difficult to ever build the most effective brand possible. If we asked most people what a brand is, their answers would likely be tangible things like logos (the Nike swoosh) or colours (the red of a coke can) or words (BMW’s “The Ultimate Driving Machine”). Likewise, when people set out to build their brand, they usually focus on the same tangible things. “I need a brand” translates to “I need to build a ‘look’ or ‘style. '” While these are important elements or expressions of a brand, they are not the brand itself. So what is a brand? A brand is a promise. It is whatever people think, feel, trust, and believe you, your business, or your product will give them if they buy from you. It exists inside people’s minds, out of your reach — yet it’s a big part of why they buy from you. So what is a brand? A brand is a promise. Logos, colours, fonts and words are simply how you try to convey your brand’s promise to people. Thus a “brand” is a promise and “branding” is all the tangible things you use to express that. Confused? Let me give you an example. If you mention the name “Hasselblad” to photographers and ask them to describe the brand in a single word, you’ll get similar responses: expensive, quality, icon, fashionable, professional, reliable. Many photographers will express a deep desire to own one. That’s the sign of a great brand. But this deep desire to own a Hasselblad, and the positive way photographers describe the brand, does not come from a logo, website, or colour. It comes from a brand promise, which many photographers believe and which Hasselblad has spent decades cultivating.